The embossed copper top is beautiful on this genuine Midcentury or Danish Modern coffee or cocktail table from about 1960. 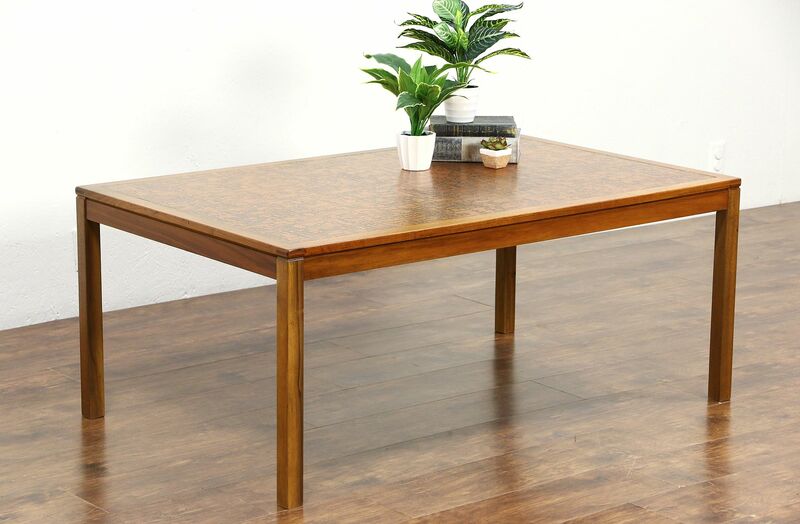 The restored finish is excellent on the mottled top and the strong genuine teak frame. Expertly crafted in Denmark, this striking vintage furniture has no remaining signature. Measurements are 51" long, 31 1/2" wide and 21" tall. Please view 15 photos at full screen size for best detail. Related items in photos are sold separately.